Thinking about hiring a professional Tree Surgeon in Crystal Palace? Well you came to the right place! GraftinGardeners are specialists in tree care and have fully qualified tree surgeons in SE19/SE20/SE26, London and surrounding areas. We have three teams of expert arborists with years of experience behind us. Our company performs all types of tree surgery works with proficiency and always take a professional approach to the business, especially with customers, new or existing. Contact us today and you could have a tree specialist come to your property and provide you with a free quotation. We are only a phone call away and can usually book you in for a quote the same day. 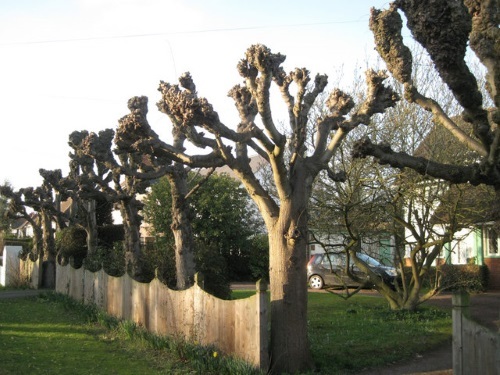 GraftinGardeners are polite, friendly and highly motivated tree surgeons operating in Crystal Palace and neighbouring areas. We run a well-established tree company and have many years of experience in the arboricultural industry. Our tree surgery service is among the best in London and you can always expect the highest possible standards when working with us. Our tree specialists are hardworking and reliable and can help you with any tree services you may require. If you require tree surgery in SE19/SE20/SE26, we can help! Contact us now for a free quote on all your tree works. The felling of a tree is the complete removal of it, usually down to the stump, either by straight or sectional felling. It is a risky job and one that takes experience to perform correctly without mistakes. Only a qualified arborist should carry out this type of work due to the risks and dangers involved. Our arborists can fell and remove any size tree, even where space is limited, and always bring them down in a safe and well controlled manner, while following all UK safety laws. Give us a call today and we can send a tree surgeon round to visit your property and discuss your tree felling requirements as well as providing you with a free quotation. DIY tree pruning is not usually recommended because it can leave a tree open to infection if cuts are made incorrectly and may lead to a number of other problems for your trees. It is always a good idea to have qualified arborist inspect your trees, so they can advise you on suitable pruning options. The initial inspection involves a number of factors such as species, age, size and height. These are just a few factors taken into account to properly asses what type of pruning your trees need and should always be taken in to consideration before making any cuts. Our tree surgeons are experts at trimming trees and known how to prune safely and correctly. We always trim, cut and shape trees in the correct manner while closely following the guidelines set out in the BS 3998. We guarantee to leave your trees in a healthy and well-balanced condition, every time. Looking to get that pesky tree stump removed from your garden or property? Good News! You came to the right page! We can remove any tree stumps fast and efficiently with minimal disruption to you and your surroundings. 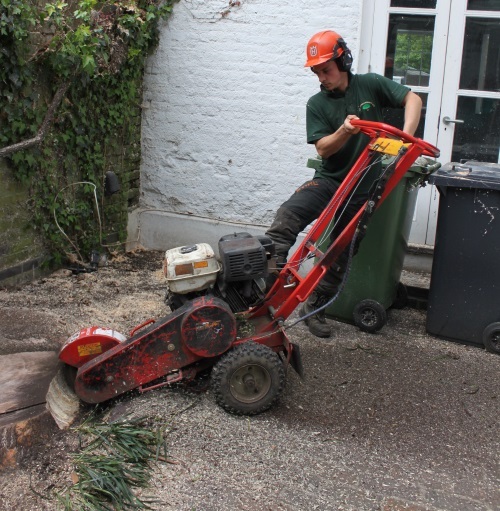 Our tree surgeons are equipped with the latest stump grinding equipment and have all the tools to perform tree stump removal operations. We can grind out infected or unwanted stumps, usually within the hour, using a combination of hand tools and our stump grinder. That annoying tree trunk could be taken out the same day and made ready for you to lay some new lawn. When we have finished grinding the stump out, we will fill the hole (with a composition of your choosing) and bring the surface back to ground level, while leaving a tidy site. Contact us today for a free quote. Trees can fail for many reasons but the number one cause of tree failure is due to bad weather and storms. When a tree falls over it causes many complications and usually damage to your home, property and its surroundings. If you have a tree crisis on your hands, try not to panic, our company has helped many people to overcome the trauma from fallen trees and known exactly how to deal with these types of situations. We can dispose of any fallen trees on your property and are only a phone call away. Our tree specialists will come round and secure the surrounding area, remove the fallen tree and clear all the mess up. Our emergency tree service runs 24 hours a day, 365 days a year for all tree emergencies. Are you having trouble with overgrown ivy? Are ivy or climbers damaging your property or compromising its structure? Don’t worry, we can help. Graftingardeners has removed troublesome ivy from structures and buildings for customers all over London and have experience in removing many types of invasive climbers. Our arborists remove ivy from the roots for an effective removal that’s lasts. We also offer an ivy and climber maintenance service, allowing us to cut, trim and shape it. Simply tell us your requirements and we can work out a plan to best suit your needs. Call us now to discuss your climber removal or maintenance requirements. 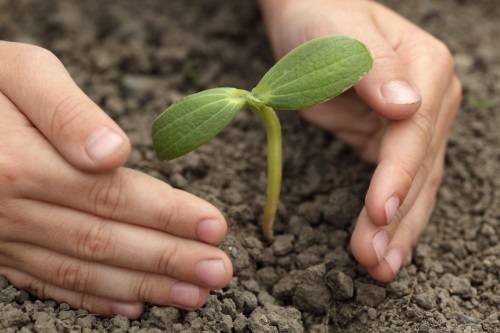 Need a hand to plant or relocate a tree? GraftinGardeners has years of experience when it comes to tree cultivation and management. Our company plants hundreds of trees every year and can offer you some great advice on stuff like, when to plant, optimal planting locations and also tips on tree aftercare. If you don’t already have the plant we can source it for you and only source the best specimens, so you can expert your new plant to be strong and healthy. We can also dig up existing trees and relocate them as long as they are young enough and don’t have an established root network. Call us now for more information. Need a local and professional hedge trimming service? Our tree surgery company offers a top quality hedge trimming service to residents of South West London and neighbouring areas. Our expert arborists are highly skilled at performing hedge trimming and can skilfully craft and shape any size hedge. Whether you simply want your hedges tidied up or a particular pattern or style, our hedge trimmers can handle it. We can follow your instructions or you can leave it to us, whichever the case we guarantee to leave you with a perfect end result. To pollard a tree is to remove all of the branches, leaves and twigs, leaving just the bare trunk. It is a technique used for growth control but should only be carried out on species that can tolerate it, such as willow and poplar trees. We recommended that a tree is pollarded by a professional tree surgeon, one that has extensive pruning experience and knowledge of tree management and maintenance. If you need help, or you would like to know more about what type of pruning your trees require, contact us today on the phone number listed above. We can send a professional round to insect your trees and provide you with a free quotation.